On June 20, 2015, my significant other and I set out for England. Unfortunately, this visit was not our usual vacation; we were on a mission. It was the last time we would see a relative, who was diagnosed with terminal cancer last year. We returned to Canada on July 8 and sadly, she passed away on July 10, 2015. While across the water, I was able to squeeze in a few vampire activities because I couldn’t go home empty handed after travelling all that way. Before my trip, I made arrangements to meet Trystan Swale, webmaster for the Highgate Vampire blog. Anthony introduced me to Trystan on Feb. 14, 2014. I remember because it was Valentine’s day. Trystan and I hit it off and have chatted ever since. We had arranged to meet at Clarks Village on June 29, 2015, but due to unforeseen circumstances the day proved to be more eventful than I had expected. Our relative took a turn for the worse the night before and had to be taken to the hospital just after midnight. She asked if I could go with her so I got my first ride in an English ambulance, while her husband followed in the car. We ended up staying with her till about 6:30 a.m. while she waited for a room. Determined to still meet Trystan, her husband and I drove home and I was able to squeeze in a nap before we had to head out for the hour and a half drive. It wasn’t until we were getting in the car to leave, we discovered through a neighbor, that Exeter was under lock down and evacuation in some areas due to not one, but two bomb threats. The packages were forced detonated and not bombs, but the city didn’t return to its normal routine until later that afternoon. We made a detour around the city instead of driving through it and fortunately, even with traffic, we made it on time. Trystan was waiting outside the Cadbury shop. He greeted me with a hug and we headed over to Caffè Nero for a drink. The day before, Anthony suggested doing an interview with Trystan. I liked the idea and came up with some questions on the fly in the car on our way up there. I blindsided Trystan with the idea and he was a total sport despite being caught off guard. Meeting him in person was lovely and I was finally able to put a voice to the person. 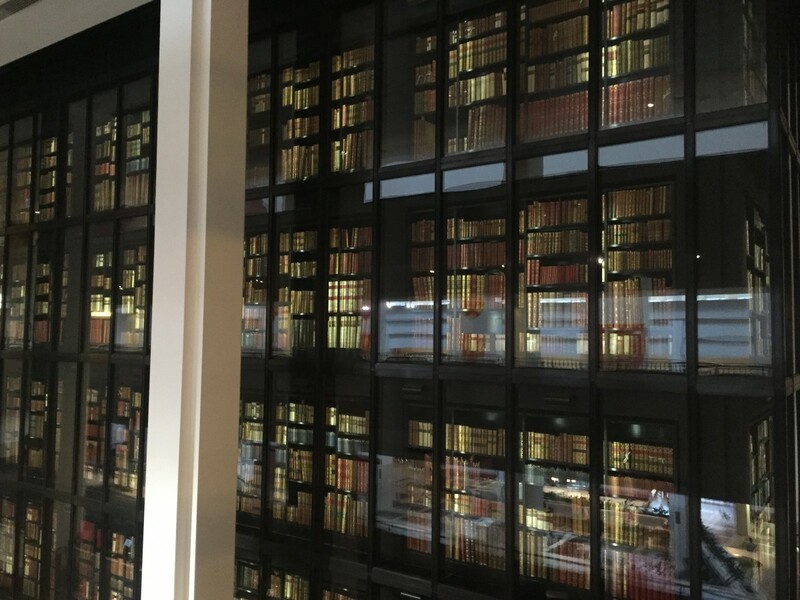 The other vampire segment of my trip was my visit to the British Library in search of articles relating to the Highgate Vampire case. We headed up to London on July 7, the day before we were due to fly home. The journey by train is about three and a half hours. I calculated our arrival to get to the library by about 4 p.m., which left me until 8:30 p.m. to do research before they closed. 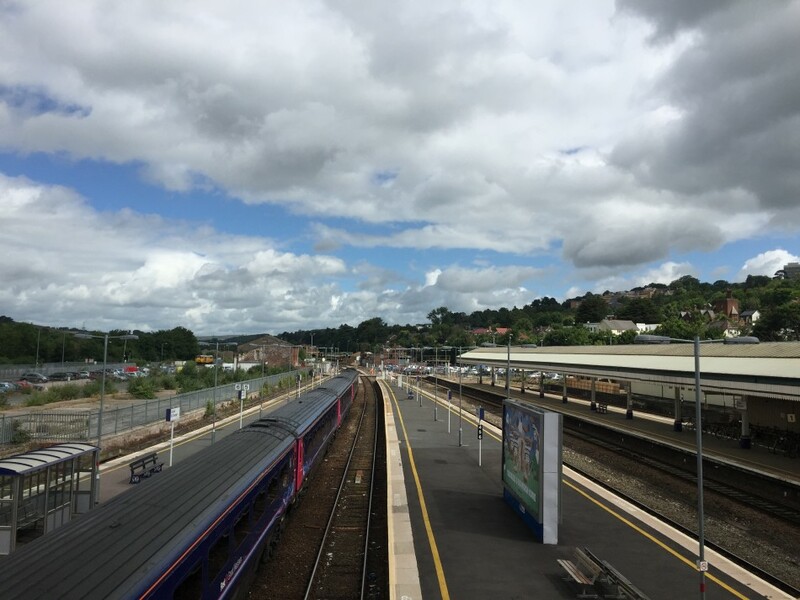 We did not realize until we were at the Exeter St. David’s Station and a voice came over the loudspeaker announcing one minute of silence at 11:30 a.m., that it was the tenth anniversary of the train bombings in London. At London Kings Cross Station, I noticed a sign saying potentially there could be a transit strike the next day in the afternoon. Good timing for us as we would be on our flight by then, if not the normal thirty-five minute train ride to the airport would have been a gong show. I also saw an abnormal amount of armed police in the stations that day. Sweaty and tired we checked into the hotel that I booked last minute, Excelsior Hotel London, for $320 CAD. I did not anticipate increased hotel prices due to Wimbledon. This was the best deal I could find and ended up being way below my expectations, especially for what I paid. I mainly picked this hotel for the location: it was one block from Kings Cross and three blocks from the British Library. We grabbed some food at a Burger King around the corner and that was a mistake. The veggie wrap I opted for was disgusting and I didn’t even finish it. After food, we both walked over to the British Library and my first stop was to renew my library card, which I needed for the Newsroom. The guy that handled my renewal was kind enough to let me keep my old card as a souvenir, even though it was against policy. I would show you my new card, but due to the heat, wind and other factors, it’s probably the worst ID photo I have had to date, so no. My boyfriend opted to go back to the hotel and kill time instead of hanging out in the waiting room for a few hours like last time. 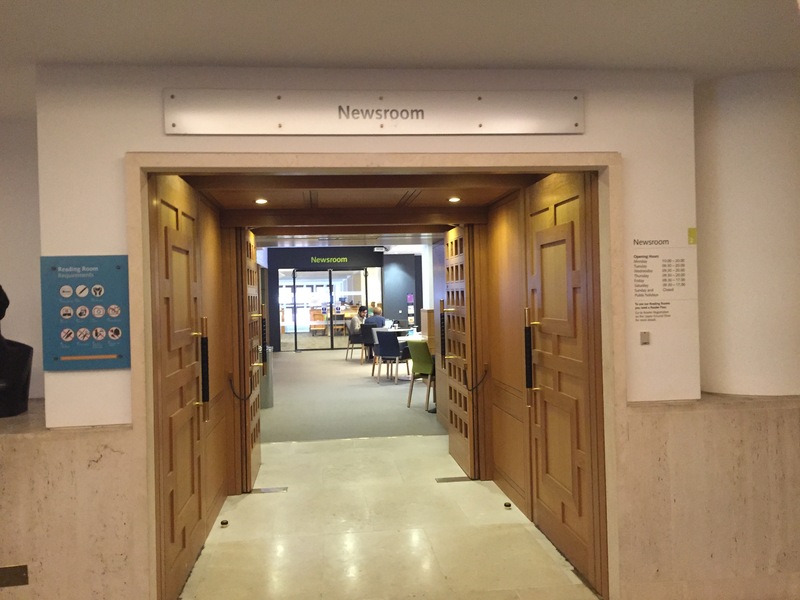 You can only enter the Newsroom if you have a valid library card. Last year when I used the Newsroom they were super strict and the only thing I was allowed to bring inside was my phone, paper and a pencil. I get emails from having an account and I knew some policies had changed. This time things were a little more slack and I was able to bring in my handbag, file folder and a notebook with pencil. Prior to my visit all materials had to be ordered online via the British Library website. Since we were short on time before I left for England, this was Anthony’s job. He had to sort through my list from last year and culled titles that we already had. Every article or item had to be requested individually so this process was quite lengthy. 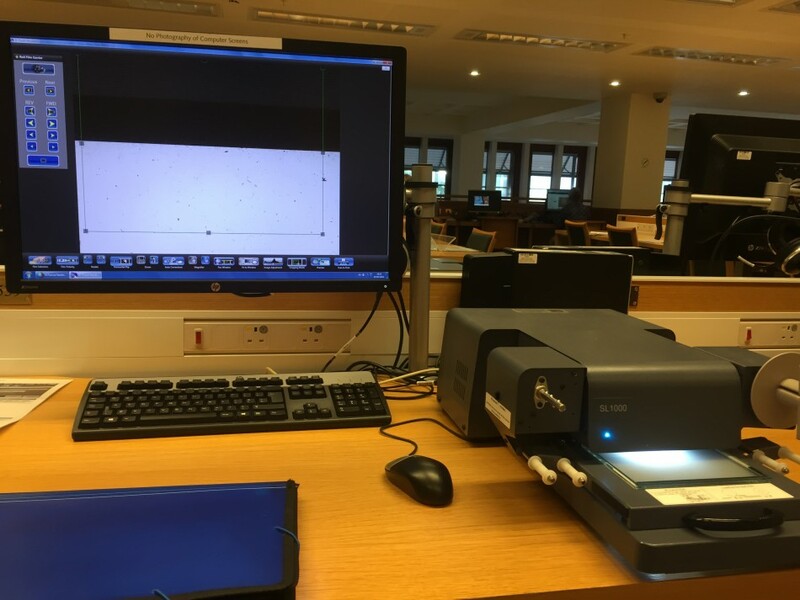 Some materials were on microfiche and others were print copies in either newspaper or magazine formats. Anthony had requested twenty-six items in total. Before I could pick up my ordered microfilm reels, I had to add some credit to my card to use the printer. My only complaint was the staff weren’t as friendly as my last visit. I felt like I was bothering them when asking for help. You are only allowed to take six reels at a time from the sign-out desk so I scanned my list and took my first batch. I had to ask the library assistant to give me a refresher course on how to use the equipment and computer program. Luckily I picked it up right away. To understand the work that goes into finding an article, unless we have a reference for a page number, which is quite rare for newspaper citations, I have to scan through the entire issue. Sometimes consecutive issues too, as it turns out not all dates cited were correct: some I didn’t even have a title and it’s like finding a needle in a hay stack. One article can take up to a half hour easy. I was working with a three to four hour window for my research. Anthony was on standby on Facebook messenger. He would have loved to be there, so for the first hour I was able to send him updates on my iPhone. I found out the library had a new system in place where you were able to take photos of any print materials you wanted. This made things so much easier and saved me a ton of money. I even sent Anthony a few photos instantly, so it was like he was right there experiencing the library with me. 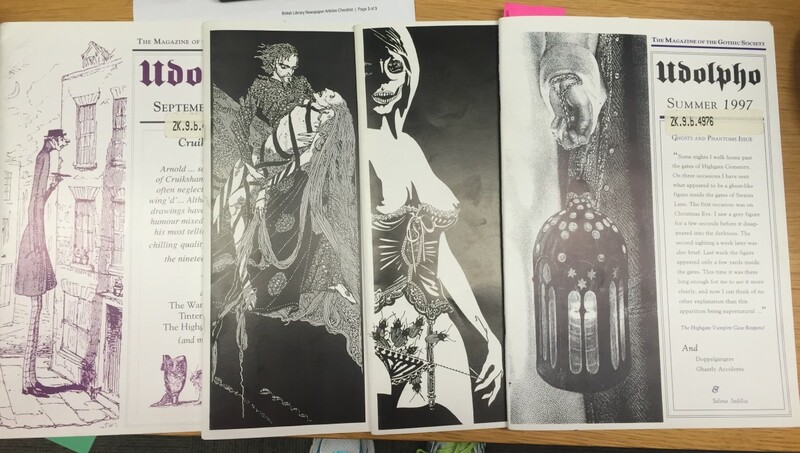 On my list were four issues of Udolpho: The Magazine of the Gothic Society. The magazines were in mint condition, like no one had cracked them open before. I found all four articles on Anthony’s list and even a bonus piece by Elizabeth Miller, “Dracula: The Narrative Patchwork” in the September 1994 issue. Last year, I found the article “The New Nazis” from the Sept. 29, 1977 issue of the Borehamwood Post written by Sean Manchester. I had a gut feeling there was more to the story, so this year I took another look at the same issue and found a disclaimer from the newspaper on page four titled “A New Threat to Freedom.” This was a great find as Anthony was not aware of its existence. If I had more time, I would have looked at the next few issues for a follow-up. The top find was an article from page three of the Jan. 29, 1971 issue of the North London Press title, “Exorcism Service to Purify Desecrated Church.” What is special about this article, is the photo: it confirms the identity of “Lusia” as Jacqueline Cooper, Manchester’s former lover. I cannot show you the photo as I will probably get issued another DMCA notice from Sean Manchester, but you can see the picture and read all about Lusia/Jacqueline Cooper on Trystan’s site. Another article I copied Duncan Campbell’s “Who’s Got a Stake in the Highgate Vampire?” (City Limits, Jan. 17–23, 1986), provides more proof of Lusia’s true identity. I had a productive afternoon and in total I managed to find fourteen of my twenty-six titles. Obtaining just over half my list in three and a half hours shows you how long the research process takes. My only disappointment was the library didn’t have the specific reel I wanted for the Hornsey Journal because they had given it to another library by mistake. After I was finished I stopped in the library’s gift shop for a quick treat for Anthony. I can’t disclose what it is, as he will be getting it in his Christmas box I am shipping out in a few weeks. It was just after 8 p.m. and I headed back to the hotel and met my other half. We decided to go to dinner at the same place we had breakfast during my last trip to the library: a pub across the street called O’Neill’s. The place was super crowded and we ventured upstairs. I realized after we were seated, there wasn’t an empty table in the whole place. I ordered a mojito and a vegetable tart that was amazing. I could not say the same thing for what my other half ordered. He asked for a pint of Budweiser and ended up with a cider and ordered bangers and mash and his mash had diced cabbage in it. He was not impressed. We left the pub and stopped at a tiny hole in the wall store for some drinks to take back to the hotel for later. As we walked back, I felt a huge sense of accomplishment. It had been a busy, but productive day. The bustle of the London streets at night was a great sight and it felt good to be a part of it. Compared to Vancouver, the atmosphere is totally different, but after three weeks, I was looking forward to going home. 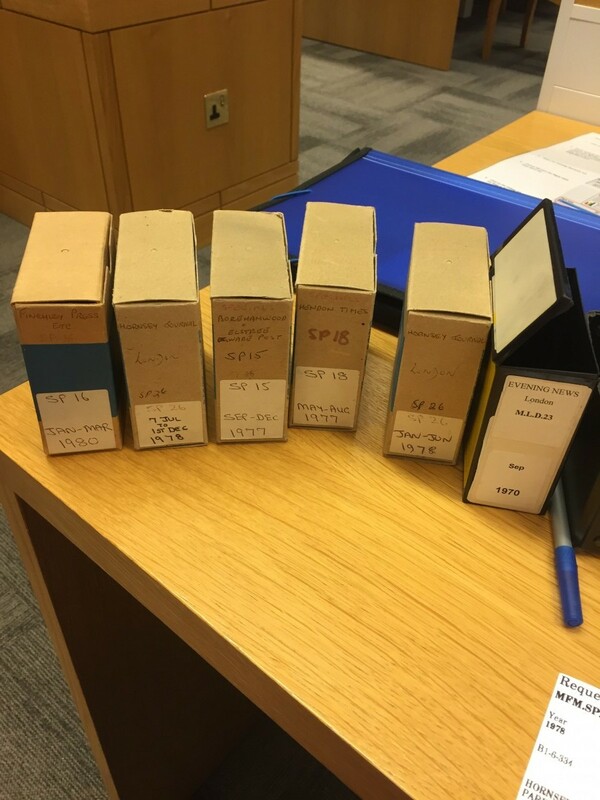 My two visits to the British Library have made a dent in the massive article list Anthony has pertaining to the Highgate Vampire case. Perhaps next year I will see if I can plan two days in London. My plans have yet to be determined as I am currently checking out a vampire conference in Dublin that sounds fangtastic. 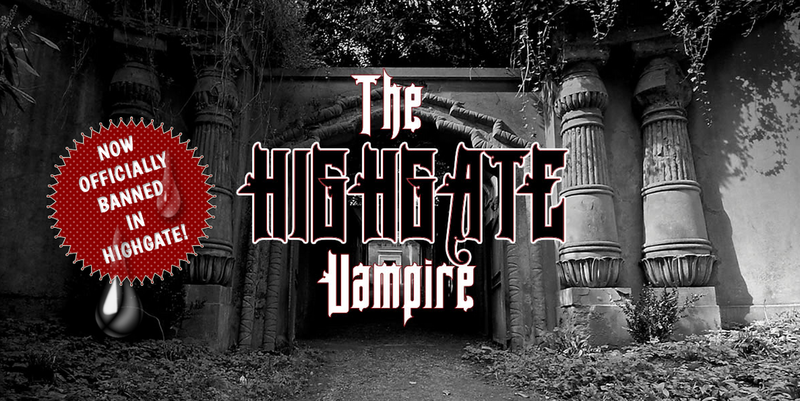 Highgate Vampire blog: Trystan Swale, The Highgate Vampire, accessed Oct. 4, 2015, http://thehighgatevampire.co.uk/. due to not one, but two bomb threats: “Two Suspicious Packages Found in Exeter ‘made safe’,” BBC News, June 29, 2015, accessed July 20, 2015, http://www.bbc.com/news/uk-england-devon-33308628. I will probably get issued another DMCA notice from Sean Manchester: Anthony Hogg, ” ‘Vampire Hunter’ Hammers Stake Through Article,” Vamped, Nov. 27, 2014, accessed Nov. 21, 2015, http://vamped.org/2014/11/27/vampire-hunter-hammers-stake-through-article/. read all about Lusia/Jacqueline Cooper on Trystan’s site: admin [Trystan Swale], “A Question of a Sleepwalking Girl,” The Highgate Vampire, July 10, 2015, accessed Nov. 16, 2015, http://thehighgatevampire.co.uk/index.php/2015/07/10/a-question-of-a-sleepwalking-girl/. a vampire conference in Dublin: Transylvanian Society of Dracula in association with Trinity College Dublin, “Fourth World Dracula Conference,” TSD International Open Conference Dublin, 2025, accessed Nov. 22, 2015, http://www.tsdcon25.com/. Clarks Village: Farm Road, Street, Somerset. http://www.clarksvillage.co.uk/. Cadbury shop: #81- Clarks Village, Farm Road, Street, Somerset. http://www.clarksvillage.co.uk/stores/cadbury/. Caffè Nero: #80- Clarks Village, Farm Road, Street, Somerset. http://www.clarksvillage.co.uk/stores/caffe-nero/. Exeter St. David’s Station: Bonhay Road, Exeter. http://www.nationalrail.co.uk/stations_destinations/EXD.aspx. London Kings Cross Station: Euston Road, London. http://www.nationalrail.co.uk/stations_destinations/kgx.aspx. Excelsior Hotel London: 42 Argyle Square, London. http://www.excelsiorhotel.co.uk/home.html. Burger King: 27–29 Euston Road, London. http://www.viewlondon.co.uk/restaurants/burger-king-info-276848.html. 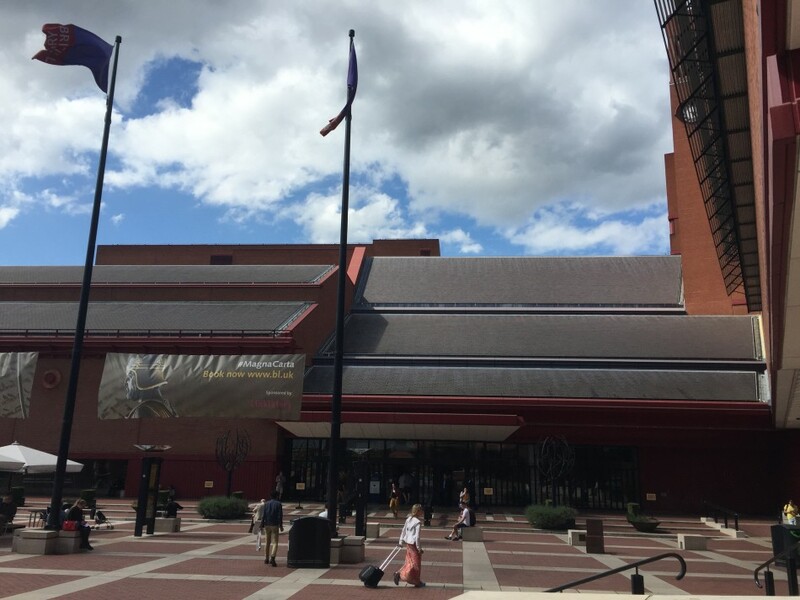 British Library: 96 Euston Road, London. http://www.bl.uk/. 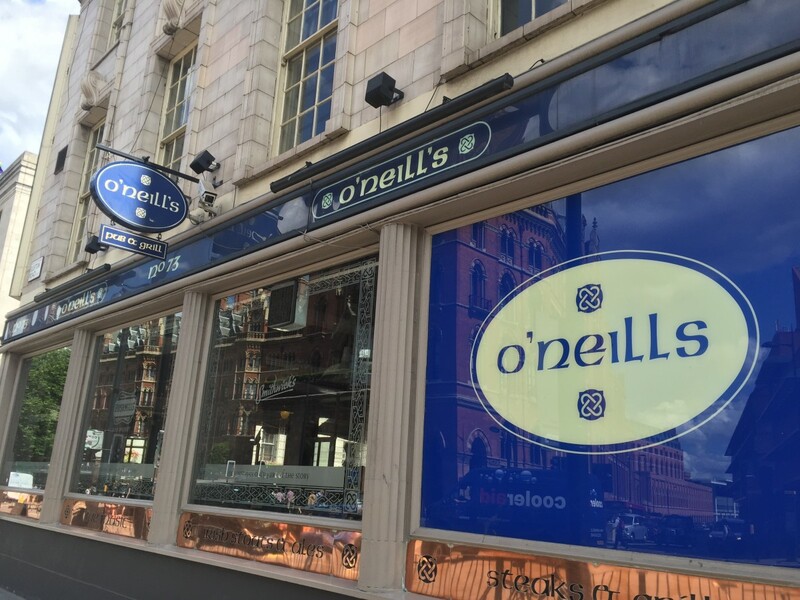 O’Neill’s Kings Cross: 73–77 Euston Road, London. https://www.oneills.co.uk/content/oneills/en/national-search/london/kings-cross. Erin Chapman, “Seeking Vampires in London,” Vamped, Nov. 16, 2014, http://vamped.org/2014/11/16/seeking-vampires-in-london/. Coverage of Erin’s previous trip to England, featuring her first visit to the British Library and taking a tour through Highgate Cemetery. Erin Chapman, “Interview with Trystan Swale, Highgate Vampire Blogger,” Vamped, July 26, 2015, http://vamped.org/2015/07/26/interview-with-trystan-swale-highgate-vampire-blogger/. The interview Erin conducted with Trystan Swale after their meeting in Caffè Nero. Anthony Hogg, ” ‘Vampire Hunter’ Hammers Stake Through Article,” Vamped, Nov. 27, 2014, http://vamped.org/2014/11/27/vampire-hunter-hammers-stake-through-article/. The details behind Sean Manchester issuing Vamped’s webhost with a Notification of Copyright or DMCA Infringement Complaint due to the inclusion of two photographs in her article “Seeking Vampires in London” (Nov. 16, 2014). Nov. 22, 2015: Added link and footnote to “a vampire conference in Dublin” line to provide greater clarity on what Erin was referring to. –ed. Next article Does MS.2801 Reveal the First Appearance of Vampires in English?